There are times where having two separate labels (same size) in one label template file is necessary. This Instruction Article explains how to create two labels in one CODESOFT label template file. This process will work only if the 2 labels have the same label size and page layout. 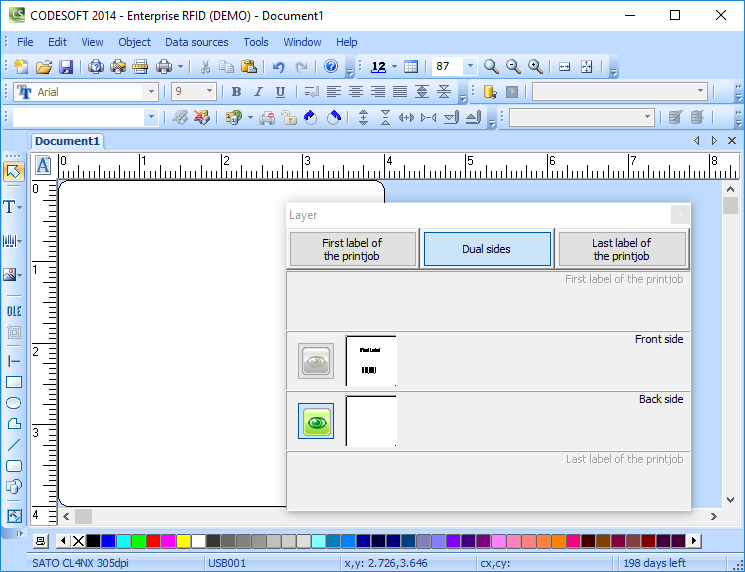 To accomplish this, we use the duplex (printing on both side of the label) feature of CODESOFT. Create the first label using the normal procedure. Close the Layer Window. Now you are editing the 2nd label. When printing the label, both labels should come out with the ‘front side’ label printing first. If the printer support duplex printing, the 2nd label will print on the back side of the label.